With over 35 Years of Experience, We Know How to Do It and We Do It Right. AGS Electrical Services offers seamless solutions and project delivery of electrical services, including emergency standby generator projects, electrical repairs, customized electrical for new construction, temporary electrical distribution as well as complex rental power system solutions. Additionally, in partnership with our sister company, Loadbanks of America, our team can provide and install low and medium voltage load bank electrical systems for your power testing requirements. We provide everything from system design, installation, and testing to long-term service and maintenance on a wide array of projects. Call us today for more information. The AGS Electrical team is dedicated to providing professional assistance in comprehensive pre-construction planning, coordination and project management with consideration of critical time schedules and budgets. We are qualified and equipped to handle the challenges and complexities of any size job. AGS is a licensed full service Electrical Contractor. We specialize in complete electrical installations for commercial projects including remodeling, manufacturing, Data centers, repairs, additions and construction. Our main focus is total customer satisfaction. We work hands-on with our clients regardless of whether it’s a service call or a large commercial project. On call expertise: Experienced Management Team, Expert Construction management experience, Electrical, and General Contracting experience with local, state & Federal contracts, National Accounts Team with a nationwide network of contractors to facilitate any project or location. 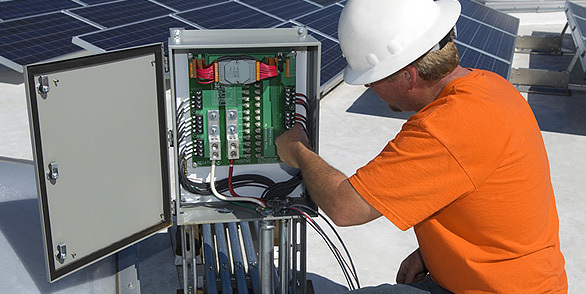 We provide 24-hour on-call electrical systems maintenance and emergency repair to ensure your business runs smoothly. With highly knowledgeable and experienced personnel located throughout our service area, we are uniquely qualified to meet all of your service needs. From routine maintenance to emergency outages, you can count on our project managers to deliver thoughtful recommendations and our electricians to provide expert solutions. Our highly skilled electricians are equipped with state-of-the-art tools and equipment and mobilized in networked service vehicles for the fastest response.